Crystal Rift is clearly a homage to the 16 bit classic ‘Dungeon Master’ for the Atari ST. It is a reinvention of this game minus the spell and RPG mechanics. 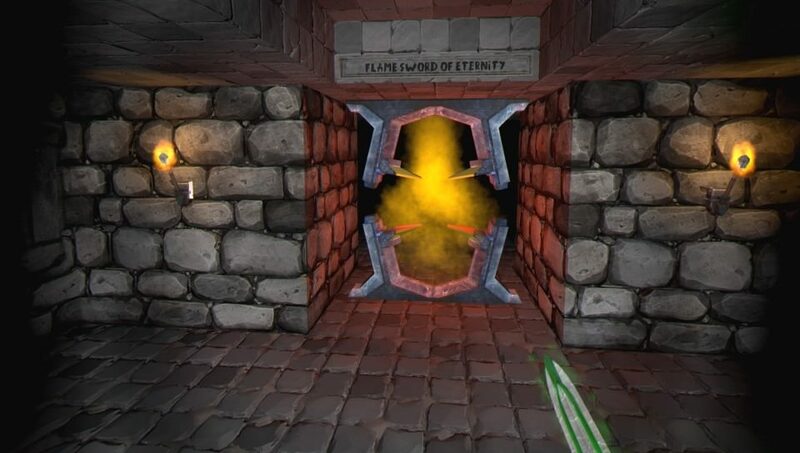 A dungeon crawler for the twenty first century. You play as a character with no name whom is trapped in said dungeon with no idea why you are there or how you got there while trying to find, fight and puzzle your way out. The main mechanic of this game is solving puzzles. The puzzles are never ‘Silent Hill 2’ hard, they are more logic based. Switches, levers, pressure blocks, hidden passageways, deadly spikes, giant boulders ala ‘Raiders Of The Lost Ark’. Often when you pull switches or step on pressure blocks, you have no idea what they are going to do which leads to the occasional sneaky booby trap. Rarely do you get lost, though it is easy too on occasion. There are various enemies to battle along the way. The enemy AI is poorly executed on normal difficulty level, leaving these enemies as cumbersome, exceptionally dense foes. Laughably so, as you can dance around them taking them out all too easily. On occasion I saw the enemies walk in circles oblivious that I am a few metres away standing in a doorway. Surprisingly this does not spoil the game at all. They are of the usual dungeon variety; skeleton, mummy, ‘insert generic dungeon foe here’. On occasion there are some scares too, though this is not glaringly overused as has been in other VR games. Graphics are straight out of the mid 1990’s, with a retro like feel to them. This is deliberate for the game looks exactly like the aforementioned 16-bit retro classic. They are incredibly fast, as well as exceptionally smooth. In fact, they are the smoothest and fastest I have encountered in a first person PSVR game. Your character walks at a very fast pace, and turns just as fast too in 90 degree chunks. This confirmed that this reviewer seems to be totally immune to simulator sickness. I was zipping down the tunnels like a human size ‘Speedy Gonzalez’. 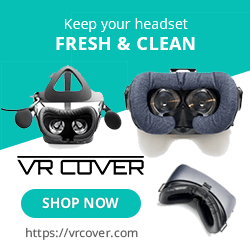 There are many options to customize the control scheme should regular controls in VR not suit you or if you might be susceptible to simulator sickness. Where this game is let down slightly is in the soundtrack and the difficulty spikes. The sound effects are adequate, with exception though is the particular sound made when you die. This long drawn out piercing scream is hilarious, even after you have heard it the hundredth time. The music is just not varied enough, being short and looped. On most of the tracks there is a loud heart beat sound that dominates the mix. This would have been less irritating if there were an option to turn down the SFX, again in no way does this to spoil the game at all. The puzzling is wonderful overall, they are nothing we haven’t seen before relying on tried and tested mechanics, nevertheless satisfying each time you solve a tricky one. But there are difficulty spikes on occasion such as one or two of the enemy bosses. As this game is an old school retro homage, likewise so is your life bar with Zelda style hearts. Except that there is a one hit die mechanic. If you are hit once you are sent back to the beginning of the room. And you will die, a lot! This leaves a rare sense of dread occasionally, something that has been missing from most games for a long time. How would you like your toast sir? The story is of no consequence, rather blasé and tires quickly. Told via the discovery of note scrawls and crystal skulls. It serves to drive the game forward though and is easily skipped. There are lots of hidden rooms and collectables too. 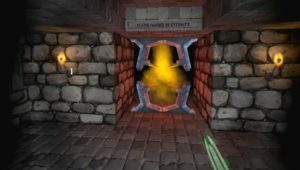 This is a substantial VR game with 25 levels to complete, the later ones providing a hefty challenge. If you like dungeon crawlers or puzzlers, you will love this especially if you are old enough to remember ‘Dungeon Master’. The difficulty spikes might be overcome by lowering the difficulty level to easy for those of you who like a more forgiving ride, but this reviewer does not succumb to such trivial temptations. What would I pay? I would pay $15US for this game. It is defiantly worth the asking price of $12.99, providing a lot of entertainment for your money, especially as it takes 12-15 hours to finish. 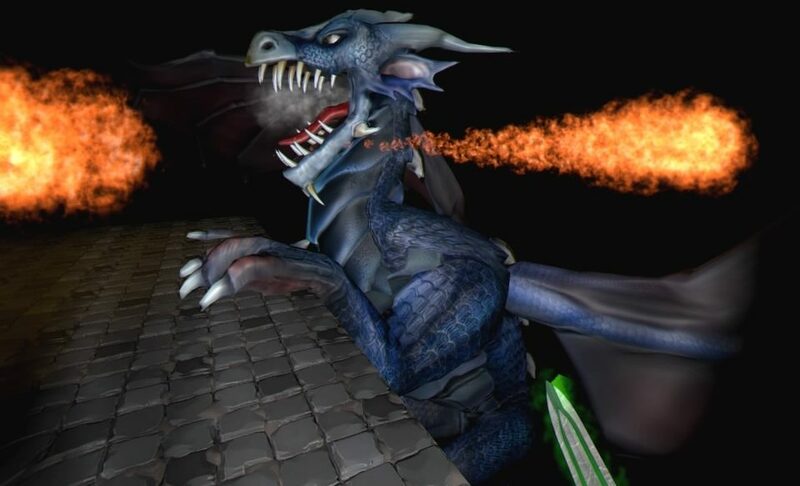 Psytec Games provided theVRgrid with a review copy of the game.